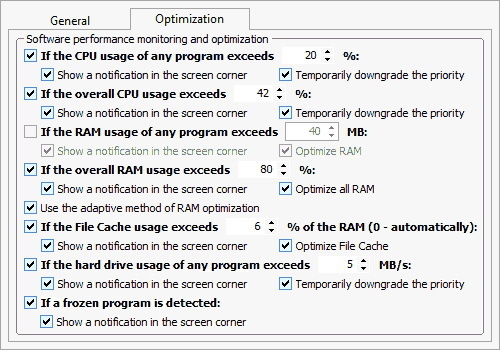 Chameleon Task Manager is a replacement for Windows task manager that enables the complete control of processes running on a computer optimizing the performance of Windows. Chameleon Task Manager was available as a giveaway on May 31, 2011! 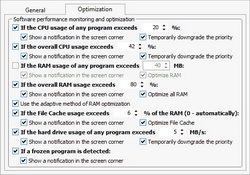 Chameleon Task Manager is a replacement for Windows task manager that enables the complete control of processes running on a computer optimizing the performance of Windows. It also provides more detailed information about programs. The program collects resource usage statistics. 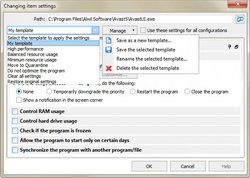 How would you improve Chameleon Task Manager? Program it to let us know what the processes are and if they are necessary. Have it alert us to new start-up programs too. I am only trying to ask for a more realistic product than simple "repaint of the old car to make it sell like a new car" model. Look at all those who tells about freeware programs there is better than todays programs... that say a lot in my world of understanding. BUT unlike the NeoSoft Chameleon StartUp Manager offered a while back at Bitsdujour.com which has a "Policy section" showing pertinent purchasing details, Neosoft does not choose to openly tell buyers about things like "online activation" or "hardware footprints" "how many computers per license" "refund terms" etc. Finally found SOME scant mention of Personal Licensing conditions [Information about personal licenses is available "here": http://www.chameleon-managers.com/windows-task-manager/] BUT unlike the NeoSoft Chameleon StartUp Manager offered a while back at Bitsdujour.com which has a "Policy section" showing pertinent purchasing details, Neosoft does not choose to openly tell buyers about things like "online activation" or "hardware footprints" "how many computers per license" "refund terms" etc. ALL USERS: DO NOT accept the offer to buy the Bundle for USD$55 because buying TaskManager at 50%OFF + StartUpmanager at 30% & Volume Manager at 30% = 49.89 USD so you'd be paying $5 too much better to say no thanks and select the individual programs at the one purchase. Only now you can buy Chameleon Task Manager Pro with a additional 50% discount. No Risk 30 Day Money Back Guarantee. It's also pretty poor that the licensing conditions cant be found on their website (at least I cant find them), I presume they want you too buy now and refund later - if You remember too before 30 days expires. <b>ALL USERS: DO NOT accept the offer to buy the Bundle for USD$55 because buying TaskManager at 50%OFF + StartUpmanager at 30% &amp; Volume Manager at 30% = 49.89 USD so you'd be paying $5 too much better to say no thanks and select the individual programs at the one purchase. </b>The billing currency is USD ($) Special Offer Only now you can buy Chameleon Task Manager Pro with a additional 50% discount. No Risk 30 Day Money Back Guarantee. can be currently found at: http://www.chameleon-managers.com/windows-task-manager/ <i>It's also pretty poor that the licensing conditions cant be found on their website (at least I cant find them), I presume they want you too buy now and refund later - if You remember too before 30 days expires. I just tried this software, great! Hopefully Giveawayoftheday provide more powerful software. 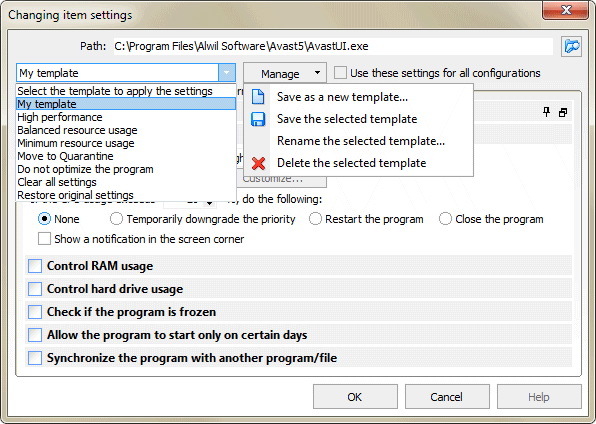 CTRL+SHIFT+ESC keyss together bring up the regular Windows TaskManager. Q1. Will this be updatable as version 3 updates are released? Q2. what are the license conditions for a purchased version license (currently at 50% off) as offered during this promotion: Lifetime upgrades free or purchased? Q1. Will this be updatable as version 3 updates are released? I understand the T&amp;C says no upgrades which I presume means from v3.1.0.423 to v4.x Q2. what are the <b>license conditions for a purchased version license </b>(currently at 50% off) as offered during this promotion: <b>Lifetime upgrades free or purchased? I have been trying this out in "automatic" mode, and there has been a noticable increase in performance on this machine. I give it a thumbs up. I'm running Windows XP (SP3) on a system with an Intel 3.4 HT processor, and 2 gigs of RAM. I have been trying this out in "automatic" mode, and there has been a noticable increase in performance on this machine. I give it a thumbs up. I'm running Windows XP (SP3) on a system with an Intel 3.4 HT processor, and 2 gigs of RAM. I run FF with 60 or so open tabs, firebug, website developer bar, CS5 and about 10-12 SSH windows open at a time. Over time I watch the 3 gigs of memory slowly climb to 7 of my 8, and my machine slow down to a crawl. I installed this. No restart, just installed and let it run for the last 12 hours. I was at 6.8 gigs of memory in use when it started. I am now at 3.2. Machine has been stable, no lags, and I can develop in peace on my Win-7/64 box. I am far from a PC-geek, as I do all my work on linux servers. This rather nice piece of sw has allowed me to "ignore" the box I work on and focus on the boxes I make my living on. Very nice and worth every penny from my point of view. Thank you GOTD. I run FF with 60 or so open tabs, firebug, website developer bar, CS5 and about 10-12 SSH windows open at a time. Over time I watch the 3 gigs of memory slowly climb to 7 of my 8, and my machine slow down to a crawl. I installed this. No restart, just installed and let it run for the last 12 hours. I was at 6.8 gigs of memory in use when it started. I am now at 3.2. Machine has been stable, no lags, and I can develop in peace on my Win-7/64 box. I am far from a PC-geek, as I do all my work on linux servers. This rather nice piece of sw has allowed me to "ignore" the box I work on and focus on the boxes I make my living on. Very nice and worth every penny from my point of view. Thank you GOTD. +1 Process Hacker. Use it all the time. Have used Process Lasso from previous GOTD but had mixed results; love the concept. Robin Siebler, 14.07.2010, 17:20 - I think that you may be loking for displayed Networking & TCP/iP info more like GoldGingko Software's TaskMgrPro [http://www.taskmgrpro.com/index.htm] it is really just an inexpensive (you'll probably find some coupons on the net) extension too Windows' own builtin Task Manager but adds some REALLY useful tabs & items onto it. Depending on the version of Windows Operating system you are using an excellent freeware solution which works well with Windows XP (I haven't tried it with Vista or Win_7), is Task Manager Extension 2.0 (v2.1.0.247) by Sergey Kolomenkin dated 22 Jan 2007 [http://www.codeproject.com/KB/system/Task_Manager_Extension.aspx] sometimes also called TaskManagerEx, which as its name implies is an extension to the basic Windows Task Manager and consists of only 3 files (TaskManagerEx.exe, TaskManagerExDll.dll TaskManagerExUninstall.cmd) that can be installed wherever You like and is simple to use. There are certainly a number of different Task Manager alternatives or add-ons not to mention Micro$oft's own Wininternals freeware variants took some advice and enhanced the basic task manager. <b>Robin Siebler, 14.07.2010, 17:20 </b> - I think that you may be loking for <b>displayed Networking &amp; TCP/iP info</b> more like <b> GoldGingko Software's TaskMgrPro </b> [http://www.taskmgrpro.com/index.htm] it is really just an inexpensive (you'll probably find some coupons on the net) extension too Windows' own builtin Task Manager but adds some REALLY useful tabs &amp; items onto it. Depending on the version of Windows Operating system you are using an excellent freeware solution which works well with Windows XP (I haven't tried it with Vista or Win_7), is <b>Task Manager Extension 2.0</b> (v2.1.0.247) by Sergey Kolomenkin dated 22 Jan 2007 [http://www.codeproject.com/KB/system/Task_Manager_Extension.aspx] sometimes also called <b>TaskManagerEx</b>, which as its name implies is an extension to the basic Windows Task Manager and consists of only 3 files (<i>TaskManagerEx.exe, TaskManagerExDll.dll TaskManagerExUninstall.cmd</i>) that can be installed wherever You like and is simple to use. There are certainly a number of different Task Manager alternatives or add-ons not to mention Micro$oft's own Wininternals freeware variants took some advice and enhanced the basic task manager. I just installed this to give it a try since I like trying out any utilities like this. I found it seemed to work ok with no major issues. However for my usage it just seemed to simple. I have no specific complaints except you could only see certain programs and no services or items running in the background. It did have some interesting views of information tied to specific programs that I found would be useful. However it seems to me they need to look at programs like Process Explorer and Process Hacker and then consider some major changes to the interface if they want to compete with the major programs in this category. For free it is ok, but I would not pay for a program like this. For normal users you might find it useful though I would be careful with the optimization features as they may slow down your computer. Enjoy. I installed this. I thought I recalled an earlier version which was somewhat interesting, but I'm not impressed with this. There's no help to speak of, it seems cluttered and not very useful. Microsoft Sysinternals Process Explorer is generally much more in-depth, and actually works. Chameleon won't display module information for many/most tasks. The resource extractor is cute but not that useful. As I stated in comment #4, one would do well to stay away from "optimizers". Speaking of which, that's also true of "cleaners". Most are written by people who don't know anything about Windows and think that it's OK to delete tracking information because Windows will keep running. The tracking information is there for a reason, it's used in file open/save dialog boxes, for the Start menu, and probably by Superfetch, so you're just crippling your Windows installation by using cleaners. I'm careful with even Windows Disk Cleanup, mostly I just delete temporary files or old system restore points. Back to Chameleon. It uses very little CPU, but it stores information about processes in the registry and it generates large log files. It seems to me that they're trying to do a few of the things in Anvir and Process Explorer, with their own touches. I really liked Anvir, ignoring the junk, such as the "security" and "optimization" stuff, and making sure that was off. Anvir had all sorts of useful features, there was some overlap with Process Explorer but also a lot of differences. But Anvir always suffered from bad coding, and they would keep adding enhancements and then taking them away in the next release. Development ceased long ago (one of the pitfalls of freeware versions). Anvir always crashed my Vista installation. I just use Autoruns, Task Manager, the Win7 Resource Monitor, and Process Explorer when I need them. I neither need nor use Process Lasso, but it's decent if it's useful to you. Speaking of crashes, one day I'll address hardware issues, poor build quality is always a problem. Why have you deleted my previous message?? This is not an illegal tool and you know very well what I mean!! This is a nice APP that does what it claims flawlessly, but there are some FREE PROGRAMS out there that OUTCLASS today's giveaway easily. The BEST one I'm aware of is definitely PROCESS HACKER and honestly I'm surprised that nobody still didn't mention it !!! Somebody above complained the fact that this GAOTD doesn't display the Process Tree showing the sub processes started by other processes in a tree structure...right?? Well PROCESS HACKER can do this and more...for FREE!! * A simple, customizable tree view with highlighting showing you the processes running on your computer. * A complete list of services and full control over them (start, stop, pause, resume and delete). * A list of network connections. * Full control over all processes, even processes protected by rootkits or security software. Its kernel-mode driver has unique abilities which allows it to terminate, suspend and resume all processes and threads, including software like IceSword, avast! anti-virus, AVG Antivirus, COMODO Internet Security, etc. (just to name a few). * Find hidden processes and terminate them. Process Hacker detects processes hidden by simple rootkits such as Hacker Defender and FU. * Easy DLL injection and unloading: simply right-click a process and select "Inject DLL" to inject and right-click a module and select "Unload" to unload! CHAMELON TASK MANAGER and DTaskManager look like a baby in comparison with this tool...LOL! Amazing for being a FREE TOOL, isn't it? Definitely a KEEPER...what do you make of it, dudes?? Oh I forgot to mention that there is also a PORTABLE VERSION of this mighty Task Manager (PROCESS HACKER) which is, in my view, even better than PROCESS EXPLORER itself. Oh I forgot to mention that there is also a PORTABLE VERSION of this mighty Task Manager (PROCESS HACKER) which is, in my view, even better than PROCESS EXPLORER itself. http://sourceforge.net/projects/processhacker/files/processhacker2/processhacker-2.16-bin.zip/download Tips &amp; Turials: http://processhacker.sourceforge.net/forums/viewforum.php?f=5 Have fun dudes!! Enjoy &amp; Prosper!! Looks good after quick review. One feature that seems to be missing that I use with Anvir Task Manager is the Startup Manager - both the notification of new startup items as they are added and as a periodic review of existing startup items. With Anvir, it is easy to research and remove little-value startup items. Did I miss this feature in my admittedly quick review? I d/l'ed Chameleon Start-up Manager a while back, and used it infrequently. After many months, I got a pop-up stating there were updates for it, so I d/led them. About half way through the d/l, I got a red alert message from my anti-virus program that a known trojan/worm, posing a "severe threat," was included in it, the trojan/worm file was quarantined, and I later deleted the file manually. Just a heads up from a casual user who doesn't know a lot about the inner workings of a computer: I d/l'ed Chameleon Start-up Manager a while back, and used it infrequently. After many months, I got a pop-up stating there were updates for it, so I d/led them. About half way through the d/l, I got a red alert message from my anti-virus program that a known trojan/worm, posing a "severe threat," was included in it, the trojan/worm file was quarantined, and I later deleted the file manually. Hello everybody!! This is a nice APP that does what it claims flawlessly, but there are some FREE PROGRAMS out there that OUTCLASS today's giveaway easily. The BEST one I'm aware of is definitely PROCESS HACKER and honestly I'm surprised that nobody still didn't mention it !!! Somebody above complained the fact that this GAOTD doesn't display the Process Tree showing the sub processes started by other processes in a tree structure...right?? Well PROCESS HACKER can do this and more...for FREE!! Key features of PROCESS HACKER: * A simple, customizable tree view with highlighting showing you the processes running on your computer. * Detailed performance graphs. * A complete list of services and full control over them (start, stop, pause, resume and delete). * A list of network connections. * Comprehensive information for all processes: full process performance history, thread listing and stacks with dbghelp symbols, token information, module and mapped file information, virtual memory map, environment variables, handles, etc... * Full control over all processes, even processes protected by rootkits or security software. Its kernel-mode driver has unique abilities which allows it to terminate, suspend and resume all processes and threads, including software like IceSword, avast! anti-virus, AVG Antivirus, COMODO Internet Security, etc. (just to name a few). * Find hidden processes and terminate them. Process Hacker detects processes hidden by simple rootkits such as Hacker Defender and FU. * Easy DLL injection and unloading: simply right-click a process and select "Inject DLL" to inject and right-click a module and select "Unload" to unload! and much much more!! http://www.softpedia.com/get/System/System-Miscellaneous/Process-Hacker.shtml CHAMELON TASK MANAGER and DTaskManager look like a baby in comparison with this tool...LOL! Amazing for being a FREE TOOL, isn't it? Definitely a KEEPER...what do you make of it, dudes?? Cheers from Italy!! @Trucker - I could not disagree more - there's nothing wrong with a developer repackaging built-in features if they make the features more accessible-useful, which is what this purports to do. That said, anything that messes with how the OS and apps handle RAM is a bad idea. You might force one app to run a little better at the sacrifice of everything else. The process window offers masses of useful information and the ability to modify process conditions, I particularly like the ability to change the priority. Windows has some very clever memory management systems, "optimising" memory can have be detrimental to overall performance by disrupting this control. For me the usefulness of process control is worth having and for this alone I shall keep it. I have used this before and it just seemed pointless. it did not save much time, it required attention, and used resources. not much of a point, really. Unless you are OCD or something, then I could see someone really getting off on the control freakness of it. I'm sure today's Giveaway is capable of much, much more and I wouldn't like to deter Anyone from trying it out. I personally messed up so badly in the past using a Program of similar nature (not saying the same as Cameleon, pls note!) - with extensive information of each Process, using different colours to highlight the "risk factor", and telling me it was safe (and necessary!) to kill them.., well, disabling my PC with it - was not on Agenda! So, as always, and not just me saying it - CAUTION when the Programe enables to "take complete control of processes running on a computer"..
Hi, I still use XP Pro on my old lappie (and don't want to hear how bad it is for me..,Fubar?, LOL) For simply identifying Processes (nothing else!) - I use little Tool called ProcessQuickLink (by Uniblue) - little bit "archaic", but helps me to make sense of Task Manager processes - should I suspect anything "odd looking". In most cases (if in their Library) tells me what it is and how safe they are (puts tiny "i" next to all of them) I'm sure today's Giveaway is capable of much, much more and I wouldn't like to deter Anyone from trying it out. I personally messed up so badly in the past using a Program of similar nature (not saying the same as Cameleon, pls note!) - with extensive information of each Process, using different colours to highlight the "risk factor", and telling me it was safe (and necessary!) to kill them.., well, disabling my PC with it - was not on Agenda! So, as always, and not just me saying it - CAUTION when the Programe enables to "take complete control of processes running on a computer"..
@realrisk2, I too use to use the combination of Anvir Taskmanager and Process Lasso because of the dottech reviews here but I have found WinPatrol more useful than Anvir and maybe it's because it needed advanced configuration, I never noticed a difference w/ Process Lasso. After using Chameleon for a night, it will most likely be a permanent part of my start-up arsenal. I have already disabled Dragon Naturally Speaking which was constantly running and blowing pop-up bubbles telling me something was done. (I haven't used that in months) Nothing else made it clear that was the cause. One think I espeacially like about this program is that it has not tried to "phone home" as so many other programs have for better or worse. This is one program that shouldn't be too hard for even a beginner to understand and if you don't it spells everything out so it you can understand everything. @realrisk2, I too use to use the combination of Anvir Taskmanager and Process Lasso because of the dottech reviews here but I have found WinPatrol more useful than Anvir and maybe it's because it needed advanced configuration, I never noticed a difference w/ Process Lasso. After using Chameleon for a night, it will most likely be a permanent part of my start-up arsenal. I have already disabled Dragon Naturally Speaking which was constantly running and blowing pop-up bubbles telling me something was done. (I haven't used that in months) Nothing else made it clear that was the cause. Thanks Archimede and Dwarf2000 for the alt software tips. That's one thing I miss about dottech. (Let's hope his health gets better.) One think I espeacially like about this program is that it has not tried to "phone home" as so many other programs have for better or worse. This is one program that shouldn't be too hard for even a beginner to understand and if you don't it spells everything out so it you can understand everything. I can't find any network usage at all ... am I missing something? Nice piece of software, but how does this compare to other (free?) tools like dTaskmanager? All I have seen now is that it has most of the functions that dTaskmanger has, but also lacks the feature that #5 stated, which dTaskmanager does have. I'm going to have to say no to this one, it is a nice program, but it lacks features that free versions of this software do have. Nice piece of software, but how does this compare to other (free?) tools like dTaskmanager? All I have seen now is that it has most of the functions that dTaskmanger has, but also lacks the feature that #5 stated, which dTaskmanager <i>does</i> have. I'm going to have to say no to this one, it is a nice program, but it lacks features that free versions of this software do have. @Fufar - Why would I need a program that run in the background and that same program can show my RAM usage, when it is not good idea to make any changes to the RAM anyway ? @Farrukh - A program like this one, there is so close to the original program, just make the CPU and RAM twice as big as before. I don´t like to have many programs that have 10 functions that match each another and 2-3 functions of its own. I hope more developers would be more creative and make tools that do make sense to the user. Most programs today just have a "nice" looking GUI with the routines inside the program there is directly from Windows own program moduls. Todays program could easily been made with Visual Basic and without any programming skills. Software developers... try to be more specific with your "new tools" and don´t make people pay for something that is already there. I have been computer user since 1982 and have done some programing myself on all those different kind of OS there have been (ZX81, C64, MSDOS, MSVBasic). So I know that it is not that hard to be creative... if you really like to have customers then don´t sell them "old programs" to the price of professionel made programs. <b>@Fufar</b> - Why would I need a program that run in the background and that same program can show my RAM usage, when it is not good idea to make any changes to the RAM anyway ? <b>@Farrukh</b> - A program like this one, there is so close to the original program, just make the CPU and RAM twice as big as before. I don´t like to have many programs that have 10 functions that match each another and 2-3 functions of its own. I hope more developers would be more creative and make tools that do make sense to the user. Most programs today just have a "nice" looking GUI with the routines inside the program there is directly from Windows own program moduls. Todays program could easily been made with Visual Basic and without any programming skills. <b>Software developers</b>... try to be more specific with your "new tools" and don´t make people pay for something that is already there. I have been computer user since 1982 and have done some programing myself on all those different kind of OS there have been (ZX81, C64, MSDOS, MSVBasic). So I know that it is not that hard to be creative... if you really like to have customers then don´t sell them "old programs" to the price of professionel made programs. I use both Anvir Taskmanager and Process Lasso at startup. Overdone? Do I need them both? Nice task manager - informative and clear. What I reall like - process-specific options, the manager can be configure to do certain action on a process (ex: terminate, change priority, optimize RAM) when certain criteria is matching (ex: CPU usage %, app is not responding, too much RAM used). I like it a lot, thanks GOTD! BTW, very easy to download and install (XP). Nice task manager - informative and clear. What I reall like - <b>process-specific options</b>, the manager can be configure to do certain action on a process (ex: terminate, change priority, optimize RAM) when certain criteria is matching (ex: CPU usage %, app is not responding, too much RAM used). <b>I like it a lot, thanks GOTD!</b> BTW, very easy to download and install (XP). - Portability: DTaskManager stores its settings to a local .ini file (1 KB) Chameleon after installation applies 431 changes to the system, including a gazillion changes to the system registry! I am using the freeware DTaskManager http://dimio.altervista.org/eng/ and (after having tested Chameleon I concluded that) I will stay with DTaskManager for a number of reasons, among which: - Footprint: DTaskManager (150 KB) Chameleon TM (almost 6 MB) - Portability: DTaskManager stores its settings to a local .ini file (1 KB) Chameleon after installation applies 431 changes to the system, including a gazillion changes to the system registry! Thanks, but no thanks. Remember, the RAM / memory optimization is optional; In fact. it's the first thing you are asked...'Would you like automatic optimization turned on?' and then it says something like, 'you can always change settings later'. I opted out for now as I don't need it nor am I ready to trust it but even with that turned off, it's a great program. It's so light-weight, it would be silly not to try it. Thanks to fubar and HarryM for the tip about Sysinternals as I had forgotten about that but regardless, this is something I want in my toolbox. For now it's set to run at start-up, I may change it but with such little RAM usage, I may just keep it to run at start-up which is a big compliment for any program. I hope someone tries the auto-optimizer and reviews it before the next giveaway. #4 Fubar wrote a good analysis of the program. I would like to know more as to why memory optimizers are dangerous. I have always used them until my latest computer which can handle anything. (Most new computers, even at $500 to $600 sales, have at least 6GB of RAM and a dual or quad-core processor that runs at 2.9 or higher.) Remember, the RAM / memory optimization is optional; In fact. it's the first thing you are asked...'Would you like automatic optimization turned on?' and then it says something like, 'you can always change settings later'. I opted out for now as I don't need it nor am I ready to trust it but even with that turned off, it's a great program. It's so light-weight, it would be silly not to try it. Thanks to fubar and HarryM for the tip about Sysinternals as I had forgotten about that but regardless, this is something I want in my toolbox. For now it's set to run at start-up, I may change it but with such little RAM usage, I may just keep it to run at start-up which is a big compliment for any program. I hope someone tries the auto-optimizer and reviews it before the next giveaway. I nabbed this from a previous GAOTD and used it, but I couldn't tell that it ever did that much, so I removed it recently. I'll stick to Windows tools. Thanks for all you do GAOTD. If not for y'all, I wouldn't even know about half of this stuff. I appreciate your efforts. Every once in awhile, GAOTD provides a gem of an offering. Rarer still, they provide a gem of an offering that I hadn't heard of before. THIS is both. 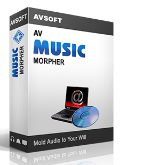 Very, very useful and although there are plenty of alternatives, most of the free ones don't quite duplicate this program's features. This is similar to but (IMHO) better than the Process Lasso offering awhile back and is definitely worth installing. Every once in awhile, GAOTD provides a gem of an offering. Rarer still, they provide a gem of an offering that I hadn't heard of before. THIS is both. Very, very useful and although there are plenty of alternatives, most of the free ones don't quite duplicate this program's features. This is similar to but (IMHO) better than the Process Lasso offering awhile back and is definitely worth installing. It seems to be similar to the MS free Process Explorer except simpler to understand and use for the novice user. The optimization feature is interesting but I'm not sure it does much as Win 7 is supposed to do that automatically. As for being able to switch to the task manager. Its so easy to open task manager from Windows (shirt-ctrl-esc) (takes half a second), that it wouldn't be necessary to implement. This is the pro version 3.1.0.426 - Installs to 20.5 MB and has a reasonably clean uninstall. Will leave 1 file (MUICache) in the registry and 3 files in the Program Files folder. May require a restart to get rid of these 3 files. Seems to be a nice program but is more than I require. Seems like an awesome tool. Although, I'm a big fan of Sysinternal's Process Explorer but I'm gonna like Chameleon as well. I really like its Settings feature which you can use to control any single process and you can control your RAM, Disk and CPU usage plus some other good controlling mechanism. Notifications about new processes:A very nice feature is to notify the users about the start and detection of new process. I can use this to detect if any unknown process may be acting like Malware or Spyware etc. No Process Tree Info: However, I haven't found yet if this can display the Process Tree i.e. display sub processes started by other processes in a tree structure which helps to identify how a particular process was born. Seems like an awesome tool. Although, I'm a big fan of <b><a href="http://technet.microsoft.com/en-us/sysinternals/bb896653" rel="nofollow">Sysinternal's Process Explorer</a></b> but I'm gonna like Chameleon as well. <b>Nice Process Optimization</b> I really like its Settings feature which you can use to control any single process and you can control your RAM, Disk and CPU usage plus some other good controlling mechanism. <b>Notifications about new processes</b>:A very nice feature is to notify the users about the start and detection of new process. I can use this to detect if any unknown process may be acting like Malware or Spyware etc. *************** <b>No Process Tree Info</b>: However, I haven't found yet if this can display the <b>Process Tree</b> i.e. display sub processes started by other processes in a tree structure which helps to identify how a particular process was born. I checked the screenshots and website. Informational tools can be nice, and some startup options can be useful, like starting unimportant processes with a lower priority, but I strongly caution against most "optimizers". Process Lasso is relatively safe, but I don't use it as I don't need it on a multi-core Win7 PC. Messing with memory is always a very bad idea. Bad on XP, worse on Vista+, where it will not only interfere with prefetch but Superfetch and virtual memory management. Microsoft Sysinternals RAMMap is very informative. There's a dual graph of memory usage when you open it, and I like the File Details tab on the end, you can sort by path or size, and expand each file to find what memory is allocated to it. You can see Superfetch in action. The RAM is there to be utilized, Windows fills it with things it needs or might need. The website states : "Memory optimizer automatically determines the necessary amount of RAM for every program." Horrifying! Would I let this program decide how my computer should work? I would much prefer the free Sysinternals Process Explorer, that has no such pretensions. The website states : "Memory optimizer automatically determines the necessary amount of RAM for every program." Horrifying! Would I let this program decide how my computer should work? I would much prefer the free Sysinternals Process Explorer, that has no such pretensions. I am sure a lot of people will comment that these tools are all built into Windows, you just need to know how or where to access them, however, I have found this to be a nice tool with a great interface. It can auto-optimize if you wish but I chose to wait and turn that on later. I like having all of these tools and insight into what's going on in my PC in one tidy package. For $15 the price is reasonable, unless there is a freeware equivalent with just as good if not better interface. It only takes up 300 to 600kb of memory (less than having notepad open) which is next to nothing....a huge plus. I am sure a lot of people will comment that these tools are all built into Windows, you just need to know how or where to access them, however, I have found this to be a nice tool with a great interface. It can auto-optimize if you wish but I chose to wait and turn that on later. I like having all of these tools and insight into what's going on in my PC in one tidy package. For $15 the price is reasonable, unless there is a freeware equivalent with just as good if not better interface. It only takes up 300 to 600kb of memory (less than having notepad open) which is next to nothing....a huge plus. Thumbs up from me! Better to add a way to invoke the regular task manager,i think.